Lots of good content came out of HP Discover and I just wanted to pull as much of it as I could find into one place. I appreciate there is a large number of links so if you are short on time just check out the top 3 Video’s. The first video is with Manish Goel the new SVP of storage for HP, he covers the new models and his vision for the future. In the second video Calvin Zito talks HP Storage past, present and future, a really insightful interview well worth a watch. The third video I really recommend is from the bloggers briefing again with Manish Goel where he answers the bloggers questions. During the storage keynote at HP Discover new SVP of storage Manish Goel made multiple references to the 20K series being a god box i.e. a monster of a machine. 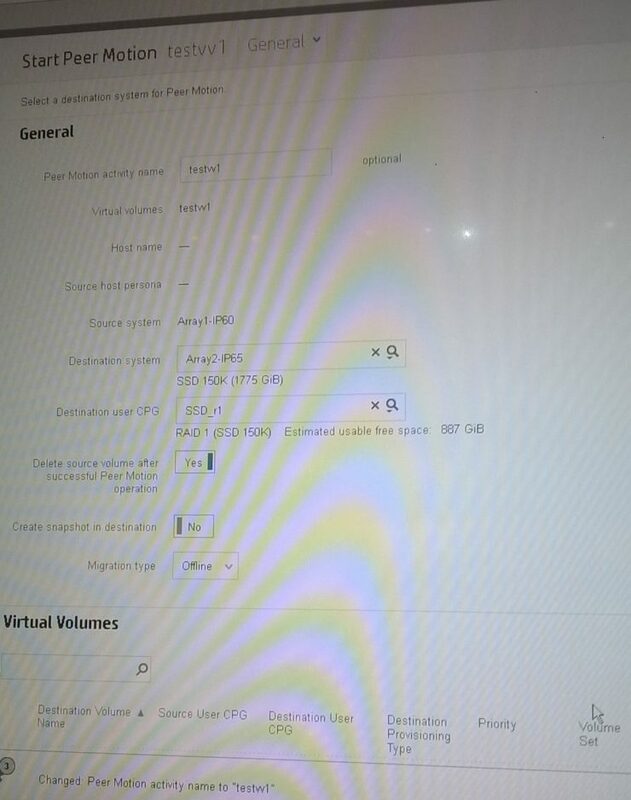 Whilst the 20K is a very large system scaling up to 15PB of useable space and up to 3 million IOPs, HP have introduced a federation feature which allows even greater scale and flexibility. In summary Storage Federation is about creating a relationship between a number of 3PAR systems which then allows volumes to be migrated between systems with a single click, you can think of this technology as like a VMotion on the storage side. Storage Federation is based on an enhancement of the existing Peer Motion technology. 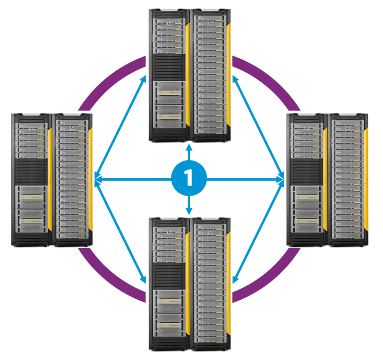 Peer Motion is a licenced feature that allows volumes to be migrated between 3PAR systems. The existing version of Peer Motion was limited to being able to create a relationship between 2 systems and was intended for one off moves such as migrating to a newer system. Storage Federation allows a relationship to be created with up to 4 systems, makes migration easier via the SSMC and aims to make data mobility a BAU activity in a similar fashion to VMotion. A minimum of 2 systems and a maximum of 4 are required to form the federation, 3 is also possible. The technology allowing the relationship is again Peer Motion, there are no specific licencing requirements ontop of this to allow a federated setup. The high level steps for setup are to have between 2-4 20K systems, set the ports to the correct modes which is suggested via SSMC and then to take each host in turn and create a single zone with all the systems in the federation. A volume migration is initiated via the SSMC and the migration screen is displayed in the photo below, you essentially choose the volume you want to migrate and to which system. Writes are mirrored to both the source and destination volume until the move is finished, in SSMC you can choose if you wish to to delete the source volume on completion. Further options available via the advanced tab will allow thick and thin options to be changed, there is no limitation in moving between CPG’s with different RAID and de-dupe settings. Multiple volumes can be selected for migration, although only one will take place at a time whilst the other jobs with queue to minimise performance impact. The main factor in determining the time for the migration to complete will be the bandwidth of your network. The main use case for storage Federation is flexibility across the data centre, so that you can dynamically balance and prioritise workloads based on demand. Below shows a use case diagrammatically where workloads can be dynamically moved between test and dev, migration to a high performance all flash system is available for the most demanding workloads. Another system is shown which is being which being used to pull in the data from a 3rd party system. At Discover HP extended the existing online import utility for EMC Clarion, VNX and VMAX systems to Hitachi systems. Storage Federation is expected in the next release of the 3PAR OS, I would guess 3.2.2 and is currently only available on the 20K series although it is on the roadmap for the 7K series. They say what happens in Vegas stays in Vegas, but for one week only that will not be true. Since I am lucky enough to be going to HP Discover Vegas as a guest blogger and intend to bring you as much news as possible whilst I’m there. For those that aren’t familiar HP Discover is HP’s largest bi-annual trade show, taking place each year first in America then in Europe towards the end of the year. It’s a big event with 10,000+ delegates expected and the show consists of presentations, lectures and hands on experiences on the HP Discover floor. HP tend to save their biggest and best announcements for HP Discover to give you a flavour the announcements at the last show were the 7440 model, enhanced 7000 c models, NAS and The SSMC. That really was a big news bundle and it will be interesting to see if HP have maintained the momentum and we are due another crop of announcements. Trying to second guess what is coming is always difficult, there have long been rumours of new models including Meg Whitman’s comments last year regarding a low end 3PAR offering. Compression must be somewhere in the pipeline, if for nothing more than to compete on paper with the new breed of AFA’s. What do you think the announcements will be? The show kicks off on the 2nd of June, keep in touch with all the latest new by subscribing to the blog and following me on Twitter. Details of the other bloggers has not been published yet, when they are I will update this post so you can follow them as well. If you’re going don’t forget to give me a shout. To spot me look for a cross between George Clooney and Brad Pitt, hopefully see you around. 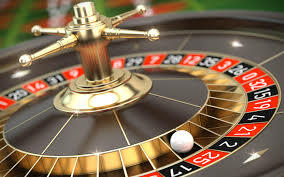 Finally let me know what to put my money on, Red or Black?